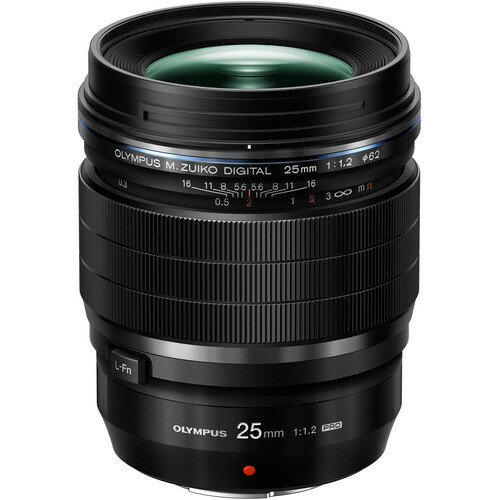 A high-speed normal-length prime featuring an advanced optical design, the M.Zuiko Digital ED 25mm f/1.2 PRO Lens from Olympus is a 50mm equivalent focal length lens designed for Micro Four Thirds mirrorless cameras. Its unique 19 elements, 14 groups construction incorporates extra-low dispersion, aspherical, and high refractive index elements to significantly reduce both spherical and chromatic aberrations for notable image clarity, sharpness, and color accuracy. The lens is also characterized by a bright f/1.2 maximum aperture, which benefits working in low-light conditions and also affords extensive control over depth of field. A nine-blade aperture is featured as well, to achieve a smooth bokeh quality when working with shallow depth of field techniques. Beyond the imaging assets, the lens' physical design is characterized by a weather-sealed construction to benefit working in harsh climates. It also features a Movie & Stills Compatible (MSC) autofocus system for smooth, quiet, and fast focusing performance that is suitable to both stills and video recording. A manual focus clutch permits quick switching to MF control and a printed depth of field scale is also featured on the lens barrel for pre-focusing and hyperfocal focusing techniques. 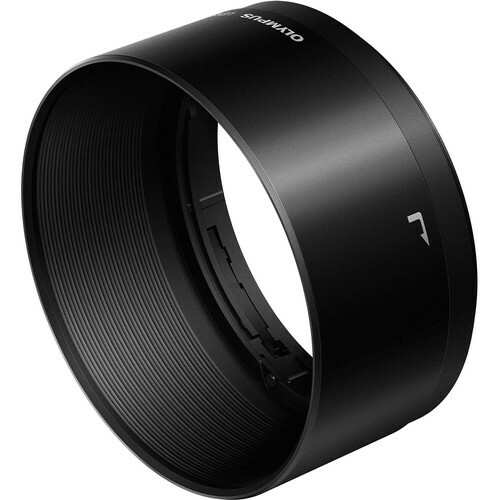 Standard prime 25mm lens is designed for Micro Four Thirds system cameras, and provides a 50mm equivalent focal length. Exceptionally fast f/1.2 maximum aperture supports working in difficult lighting conditions and also affords extensive control over depth of field for selective focus techniques. Lens function button is featured on the side of the barrel for direct settings adjustment.